Having an RSS option offers convenience to your subscribers since they don’t have to keep returning to your website just to manually check if there’s something new. Instead, they are informed that there’s fresh content and, depending on the type of web feed you provide, they can either get a summary, after which they can visit your website to read the rest of the article, or receive the full version of the text. Having an RSS option offers convenience to your subscribers since they don’t have to keep returning to your website just to manually check if there’s something new. Instead, they are informed that there’s fresh content and, depending on the type of web feed you provide, they can either get a summary, after which they can visit your website to read the rest of the article, or receive the full version of the text. Some subscribers use RSS to make sure that they stay informed if their favorite website has published a new article or they use it to aggregate their favorite sites. One of the most important things you need to remember if you want to encourage people to sign for an RSS subscription is to make it easy for them. Let them know that you offer it and that it’s not hard to do. If possible, you can also add a short text to the icon, such as “Click here to subscribe,” just in case the guest is not yet familiar with it. This call-to-action message also lets people know what they can do next and prompts visitors to do just that. The RSS subscription icon should be placed strategically. Readers, especially first timers, should be able to see it and effortlessly access the subscribe button the moment they land on your page. Often times, it is placed at the upper area of a webpage but your options are not limited to that area. Many also place it on the side scrollbar. You can consider this if your website has one. Alternatively, you may opt for the bottom of the page so readers do not need to scroll back up the page if they decide to subscribe. Another advantage of having an RSS icon at the bottom of the page is, after reading your article, the next logical step for a guest is to subscribe to you. This holds true if the article is very informative to your reader. Additionally, you can also ask your readers to hit the RSS button in order to receive your next blog post. Put the icon on all pages. If you have multiple pages to a post, every page should contain the RSS icon. It was a common mistake a few years back when readers were encouraged to return to the main page to be able to be a subscriber. This is not encouraged because it only makes it harder for the guests. Some of your potential subscribers may be subscribing to a website for the first time and might not have an RSS reader just yet. In order to not miss the opportunity to sign them up, you should suggest a particular RSS reader they can download. You can put in a link and label them “feedly” or “Subscribe on Bloglines.” This will keep your readers from having to search for a reader themselves, which could discourage them from subscribing. Overall, your readers should be able to follow you using the RSS icon in a few steps. Make it as simple and painless as possible. It is no secret that a big percentage of the populace who use the internet are not familiar with the RSS icon or the RSS feeds. As a website owner, you should find a way to convince this huge number to be a part of your subscribers. Here is where the email subscription facility goes to work. So, aside from the RSS icon, readers can also use their email address to follow you. You can use an email subscription form, placed strategically on top or at the bottom of your page. Do not forget to invite your readers to join your subscription list. Consistency is one of the key elements of a successful blog or website. Followers will continue to pour in if you post new content frequently and on a regular basis. So if you started putting up a specific number of posts a day or a week, you have to maintain that number or else, your subscribers will get disappointed or they may start thinking that you are not active anymore. Do take note that you should not overwhelm your readers with too many posts. Nobody wants a dozen articles to read per day unless, perhaps, it is tech- or gadget-related. Drowning them with feeds will likely cause you to lose your readership instead of gaining more. In relation to this, try to not to be too energetic in the beginning and then lose steam later on. It’s better to stick with a small number of articles per week that you can commit to rather than start with multiple articles per day and then get burnt out after only a few weeks. Should you find the need to change the number of articles that you deliver, then it would be a good idea to at least let your subscribers know so they won’t be making assumptions on the reason for the decrease. Content plays a major role in increasing subscribers. Content always plays an important role in a blog, be it a personal or a corporate one. You will definitely not buy a book if you know that nothing important is inside. You will not watch a movie if the storyline is not worthwhile. It goes the same with blogs. Nobody will follow you if your content is not worthwhile. Make it valuable and fresh. If you have something valuable to say, people will stick with you. Having unique, engaging content also brings in followers. Therefore, you should aim for both – content with value with a fresh take. Remember, even though you may be sharing something valuable, if you are just echoing what others are saying, then your potential subscribers might get turned off because they are getting nothing unique from you. Also, nobody wants to eat half-baked food. The same goes for your content. Readers want relevant information that they can use, so don’t give them anything less. Make your articles meaty and avoid filling it with fluff just so you can stretch the word count. Put your heart into your writing and you will definitely draw in more readers and subscribers. And, it goes without saying, stick to the truth. Do not exaggerate or make claims without basis because this will turn your readers off and they will just go find something more worthwhile to read. Stick to your central theme or topic. You also have to remember to focus on a specific topic or niche. You simply cannot talk about internet marketing on one post then about food that you like in the next one. Your audience will be surprised, confused, and will decide immediately to unsubscribe from your RSS feed. A clear focus is needed here. Often, people get RSS feeds because they want to be in-the-know. Therefore, if you can write articles as soon as new popular topics break or if you can break the news yourself, then your subscribers will be happy and you may encourage others to subscribe. You can also give regular updates on topics that people normally follow, such as stock market updates if your website is about stocks or movies opening during the weekend if you’re into entertainment. One strategy that you can use is to write a really long, well-structured post that is broken up in several installments. This can also be a series of posts that tackle a specific topic comprehensively. This approach can draw in people to subscribe because they wouldn’t want to miss the next post. The only real way for you to get subscribers and increase their number is to let them know that you are offering RSS feeds, so share it when and where you can. 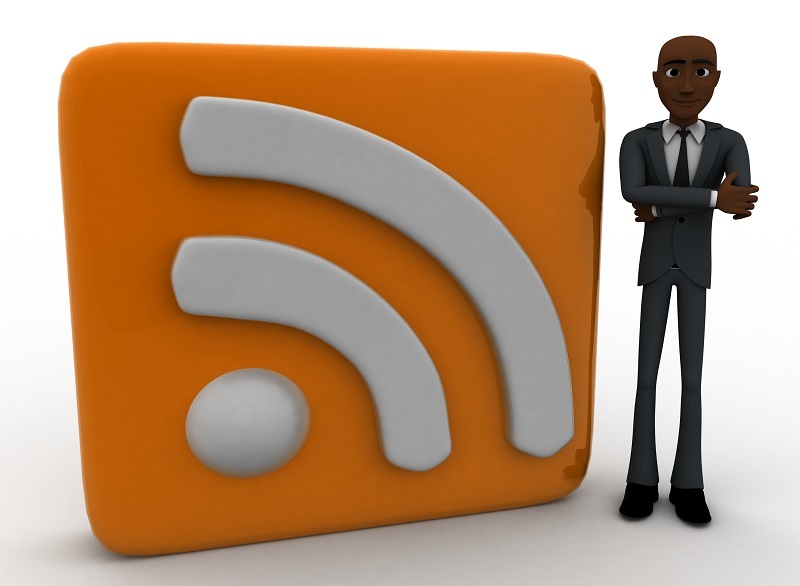 Include your RSS feed link when you comment or guest post. It is normal for a blog owner to comment on other blogs. Online interaction is common nowadays and is a great way to promote a blog and generate site traffic. So, if you are commenting on another site, you can opt to leave your RSS feed link instead of your website’s address. Guest posting is another practice among bloggers and is known to generate traffic and brand awareness. A good amount of the host’s subscribers will surely end up following you if provide them with a good article and include your RSS link in it. Social bookmarking sites such as Digg and StumbleUpon, can easily add 200 to 300 new subscribers in a day. All you need to do is sign-up and start posting. Some would say that the traffic coming from these site are low, but a conversion is still a conversion no matter how small. If you have social media accounts, you can also let your followers know that they can subscribe to your website through RSS. Just like you, other blog owners also want to increase their readership. Working together would be mutually beneficial, so you can try cross-feed promotion – that is, you promote their blog at the bottom of your feed and vice versa. You can also have a friend promote your website and RSS feed, either on the own blog or in social media. Keep your RSS feed clutter-free. If you want to keep your subscribers, then make sure that their user experience is pleasant. Don’t stuff your RSS feed with ads or badges because this will likely annoy them and drive them away. Instead, keep your feeds clean and simple, with no distractions that would interrupt their reading. A full RSS feed is advisable if you want to maximize your RSS subscribers’ growth. Many people are unhappy with partial feeds and some even unsubscribe because of these. So, rather than giving your subscribers a summary of your article and then requiring them to go to your website to read the full text, you can opt to deliver the whole piece to them. If your website or blog has several categories, then you may want to let visitors have an option to subscribe only to the ones that they are interested in. This way, they don’t have to receive anything about the other categories that they do not want to read about. You can also offer a “comments” feed, in which they get updates on new comments on your blog. This option is especially useful if you have an active community that engage in discussions and conversations. Write a post on RSS subscription. It is believed that only 10 percent of the web populace is aware what RSS is, so you may find that a post dedicated solely for an explanation about RSS is not a bad idea. First timers will have a better understanding about this subscription, the reader, and all things related to it. You can also create a “Subscribe” page with all the information needed by a first timer. Here, you can give people the reasons to sign up for RSS feeds as well as the benefits for signing up and the things that they will miss if they don’t. You can place badges and testimonials here, as well as subscription links, email forms, and so on. You can then create a welcome post for these new members. Here, you can take the opportunity to describe your site, share information about yourself and let them now that it will not be a waste of their time following you. People, in general, like receiving free gifts from websites. Some sites offer free eBooks or webinars for first-time email subscribers, so you can consider doing the same when they sign up for your RSS feeds. You may also consider doing the reverse – that is, if you are offering an eBook, then you can require people to subscribe first before they can download it. The same thing if you are hosting a webinar. Also, some brands or companies give free copies of their products. If you are able to work with such brands, then you can give the freebies away to your subscribers. Running a contest can likewise help out in increasing your subscribers, and all they have to do is to click the RSS icon and join your list. Many blog sites offer this kind of activity, even popular one have one from time to time. In order to convince visitors to subscribe, it’s always helpful to let them know how many subscribers you have already. Display this on your website using the Feedburner count widget. Of course, this would only work if you have a lot already, like 500 or more. While not many people appreciate pop-ups, there are website owners who say that a pop-up inviting people to subscribe to their RSS helped in increasing their subscribers. Similarly, making an animated RSS icon is said to help get visitors’ attention. FeedSmith is used to format your feed so it will look the same no matter what RSS reader your subscribers use. This plug-in will make sure that your subscribers will receive feeds that way you want them to see it even if they are using different RSS feed reader. Pay-per-click advertising like Google Adwords can be used to promote your website. You could get visitors for as low as $0.01 each, which means 10,000 visitors will arrive to your landing page for $100, and with 1 percent conversion rate, its a hundred new subscribers. You can also use AWeber to facilitate an email newsletter, which will complement your blog. Send out a weekly emails to your subscribers with your inside views, tips and tricks, tools of the trade or anything that is related to your blog. A “Blog Broadcast” feature will also assist you to turn your email subscribers into RSS readers, which also receives a weekly broadcast. It is important to regularly check if your RSS button is working. You don’t want to lose potential subscribers because of a broken link. Also, ensure that the feed is functioning properly and that it is a valid XML document. Moreover, some browsers have auto-discovery and show an RSS icon on the address bar if a website has valid RSS. You need to check if browsers show this icon when a person visits your website and if the RSS feed pops up when it is clicked. Some potential subscribers sign up but fail to verify their subscriptions. You can send them an email encouraging them continue with the process. A reminder here, it is a good idea to send a warm, personal-sounding email from you, the website owner, rather one that is cold and impersonal. Also, you can send an email to visitors who post a comment for the first time, thanking them for their thoughts. Many people appreciate being acknowledged, after all, and you can take the opportunity to let them know about your RSS and give them the link. A good sense of humor is also attractive. And, of course, don’t forget to let people know that subscribing to your posts via RSS is free. You can try these and see how they help in increasing your RSS subscribers. With dedication and some effort, your followers will no doubt grow. Just make sure to keep them satisfied with great content and user experience.